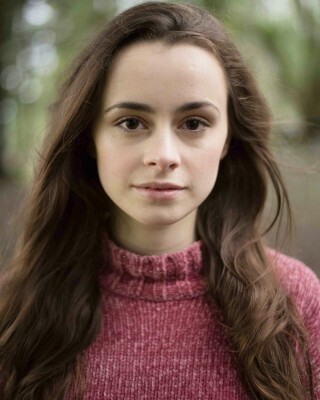 Eleanor most recently filmed the role of Sheila O’Neill alongside Colm Meaney in comedy/drama THE LAST RIGHT written and directed by Aoife Crehan for Deadpan Pictures. More recently, she played a leading role in short film DATE WITH MISADVENTURE directed by Matthew Smyth for Whim Films. Recent film and television credits include Harmony Collins in Ireland’s favourite soap opera FAIR CITY and lead role Ash in short film BREASTFRIENDS (Best Irish Short at Gaze Film Festival 2018) for IADT. Previous screen credits includes A DIFFERENT KIND OF DAY, a short film directed by Maria Doyle, premiered at the Galway Film Fleadh 2017 and THE CLOCKMAKER’S DREAM (Best Irish Short: Fastnet film Festival 2016/ Cannes, WINNER Animation Day 2016) directed by Cashell Horgan for Made Image. Recent stage work includes PLAY ON WORDS as part of the Limerick Fringe Festival 2018, receiving the Emerging Artist Award for Limerick Fringe. Further theatre credits include ÍOCFAIDH MUID! (CAN’T PAY! WON’T PAY!) directed by Bríd Ó Gallchoir, presented by Aisling Ghéar as part of the Belfast International Arts Festival 2017 and Collins in PLAY ON WORDS by Niall Carmody at the Edinburgh Fringe Festival 2017, receiving a 4 star review from The Scotsman. Other theatre work includes CHICKABEE, STARLIGHT EXPRESS, LES MISÉRABLES, CLOSER, DISCO PIGS, THE VEIL, BEAUTY & THE BEAST and CATS.